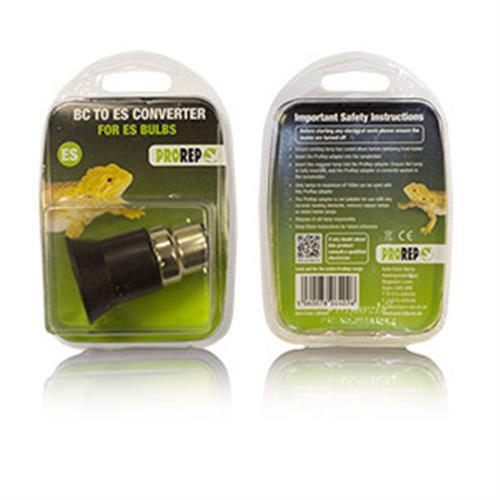 ProRep BC to ES Adaptor | Livefood UK Ltd.
Now you can enjoy the freedom of using screw bulbs in your bayonet light fittings. Tough plastic adapters - fully insulated and conforming to BS safety standards. Quick to change. Easy to use. This clever device simply fits into a normal BC (Bayonet Cap) push and turn fitting allowing ES (Edison Screw) type bulbs (Max 100W) to be used. Not suitable for ceramic heaters.